Max Tree Trimming Services & Landscaping provides top quality tree trimming, tree removal, and stump removal services for McAllen, McAllen, Palmview, Mission, Edinburg, Mercedes, Santa Rosa, San Juan & San Benito, Texas. As the Rio Grande Valley's premiere choice for Tree Trimming Services, we consistently uphold our reputation for exceptional tree trimming service and customer attention. Our services include everything necessary to clean and beautify your outdoor environment. From tree trimming to stump removal, hedge trimming and stump grinding, Max Tree Trimming Services & Landscaping will expertly address your needs. Call us at 956.207.3750 or 956.343.1272 or click for Tree Trimming Services & Stump Grinding Services. 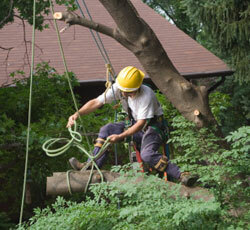 Max Tree Trimming Services & Landscaping provides Tree Trimming Services for the Rio Grande Valley, Texas. Our coverage area includes, but is not limited to, McAllen, Palmview, Mission, Edinburg, Mercedes, Santa Rosa, San Juan, San Benito and South Padre Island, Texas.